Steelhead: People must be getting excited as we've been fulfilling lots of orders for summer steelhead related gear for anglers across the West coast. One glorious aspect of where we live is that within a 60-mile radius, we can find chrome-bright fish 12 months out of the year. Although its never a guarantee- and steelheading never is- its a big reason why I can't live elsewhere where steelhead have short run-times and long off-seasons. That said, we're finding a few fish here and there. Early fish always seem aggressive and tend to empty reels quickly. The hard part is simply finding them and swinging your fly properly. While two are never alike, my favorite summer steelhead pattern to tie is the Muddler. I've been exploring a few new reaches lately while the Klickitat remains blown out and the Deschutes is literally on fire and hosting lethal water temps that lend fishing irresponsibly for steelhead once water temps near 70 degrees. New water always excites me and same with skating dries. 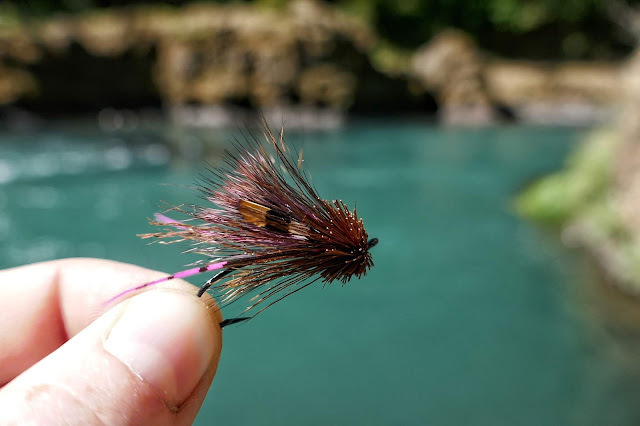 Typically if I'm with somebody else the first person goes through with a dry to find the player, and then the second person will come in with a wet fly right behind. It keeps the participation level up and an engaging way to fish with your partner. Trout: The small creek fishing has been stellar lately. Pick your favorite dry fly and go wet wade some cold water. Some favorites are Elk Hair Caddis, Purple Parachute Adams, Yellow Sallies, and so forth. While I've never really been much of a nymph-fisher, they'll also work well on the creeks. However these small fish are advantageous with their limited supply of food and will take down various morsels that look like they might be tasty. 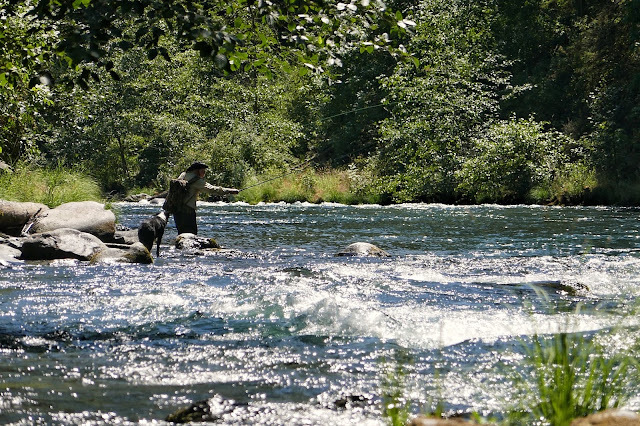 On a couple creeks that host larger than average trout, you'll have to work a little harder and match the hatch more accordingly. Clean and cold water on a 100 degree day. Up on the lakes, the Hexagenia hatch is providing some evening fun! We also just stocked up on some sweet new Hex patterns from RIO, and another generic one I like is a size 10 Yellow Stimulator. Mid-day lends itself more to sinking lines and stripped Woolly Bugger-like patterns. When stripping flies, I often change it up a little to see what the fish prefer. Sometimes its longer steady strips, other times its a couple short quick strips and slower pauses. Basically ya just gotta feel it out. The Deschutes is fishing just okay right now for trout, and like the steelheading its best to fish in the morning and early afternoon. 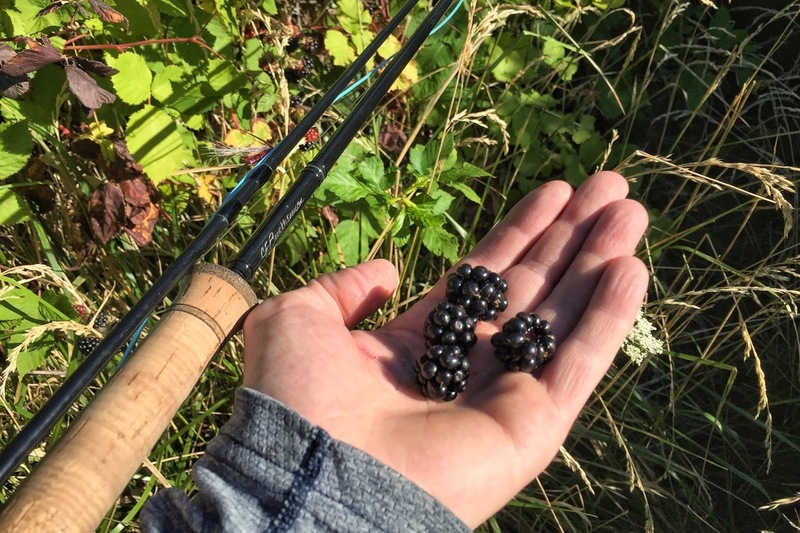 Late afternoon through the evening is just a little too warm for the fish and though ODFW hasn't implemented a Hoot Owl closure, we are able to self regulate our fishing and I always like bringing a thermometer with me to check throughout the day. Warmwater: The closest and most available fishery near us is to head out and fish the warm water of the Columbia. The sloughs alongside the river also offer a ton of availability and its easy to find some private section for yourself. Carp fishing ain't exactly easy but occasionally some 20 pounders are caught, though your average range between 8-12lbs. If targeting carp, often times smallmouth bass are picked up as bi-catch. Carp tend to hang more on the flats, while the larger bass are usually by rocky outcroppings. However, to find those big boy smallies it requires a little more work to find the hot spots, and bring an arsenal of flies too from clousers and baitfish patterns to large poppers. 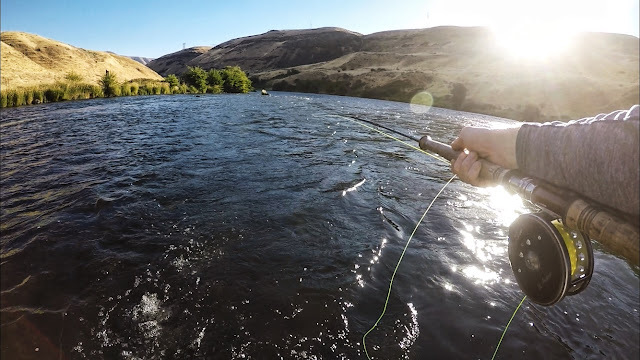 The John Day River is another great option for bass. While the fish there tend to be much smaller on average, its a great place to take first timers and kids to get them into fishing.